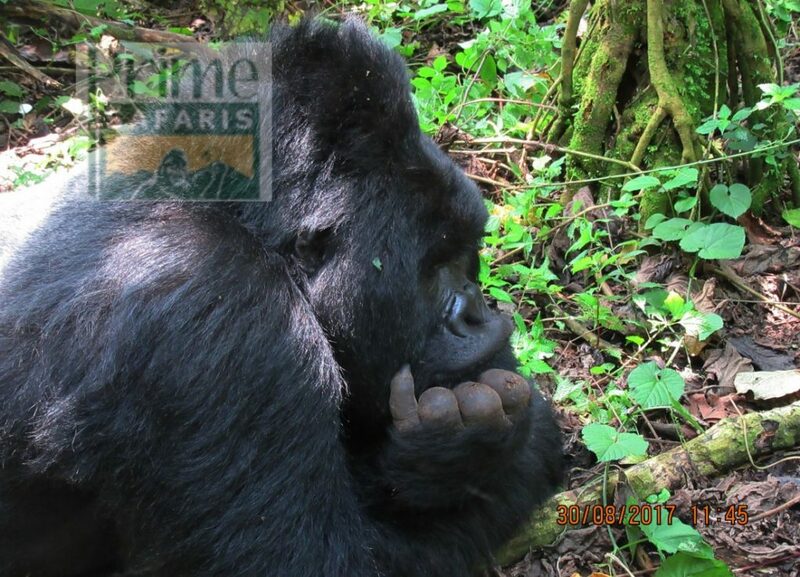 16 Days Uganda Rwanda Congo Primate, Mountaineering & Wildlife Safari starts from Entebbe Uganda and features Big five experience in Murchison Falls NP & Queen Elizabeth NP, Chimpanzee trekking in Kibale NP, Mountain Gorilla Trekking in Bwindi Impenetrable NP, Golden Monkey trek in Volcanoes NP, Nyiragongo Volcano adventure hike, Eastern Lowland Gorilla Trek in Kahuzi Biega National Park, Nyungwe canopy walk and Kigali city tour before drop off at Kigali International Airport. Enjoy a lasting game drive experience in the northern sector of Murchison marked with rolling open savannah grassland with beautiful scattered borassus palms and patches of thicket towards the Delta Area. 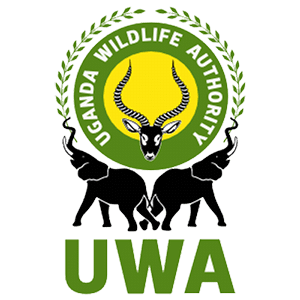 The 3 – 4hour drive offers likely chances of exploring the four of the Big five namely; Lions, Leopard, Elephants and Buffalos and then other interesting wild game such as Rothschild Giraffes, Oribis, Kobs, Hartebeest among others. 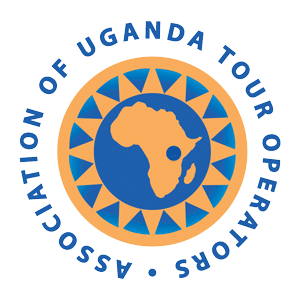 The boat to the bottom of the falls starts at 2pm from Paraa Jetty presenting nice sights of the Nile River – the longest in the world and then aquatic species like Nile Crocodiles, Hippos and birds. 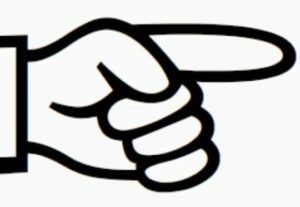 You take on the adventure hike to the top of the falls following a narrow path viewing the Nile River as it flows through a less than 7m ravine before plummeting below 43m below the Devil’s Cauldron as its popularly known generating a plume of spray characterised by a thunderous roar and a trademark rainbow. Drive to Kibale National Park 366km about 8 hours’ drive with good views of local villages and interesting physical landscapes. Enjoy lunch en route. 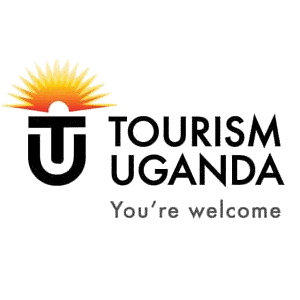 The lush Fort Portal tea estates will offer you a great welcome to the area. At Kanyanchu Tourism Centre – the starting point for Chimpanzee trekking starts briefing at 8am. 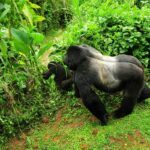 You go through briefing and eventually head to the forest for the 2 – 5-hour trek in search of these endangered species with nice views of lush flora, birds and other primate species. Upon reaching Chimps, spend 1 hour with them enjoying them as they forage, mate, patrol among other behaviours. From the activity, transfer to Kasese 135km about 2 hours’ drive driving through the scenic Ndali Kasenda Crater field. Gather at Nyakalengija Park station for briefing and setting off for a day walk in the Rwenzori Mountains. You explore the foot hills of the Mountain covered with lush tropical forest which is habitat to a range of birds and other fauna like the three-horned Chameleon. Rwenzori Mountains is Africa’s third highest Mountain rising to 5,109m above sea level with snow capped peaks. It is noted to be the tallest Mountain range since Mount Kilimanjaro and Mount Kenya are free standing. 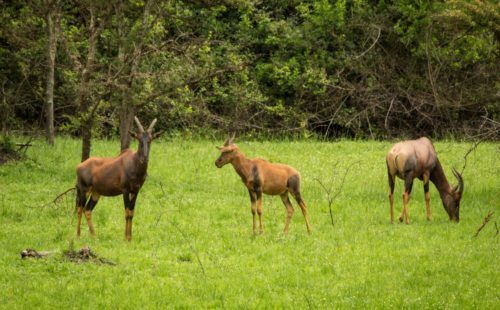 Enjoy picnic lunch and return in the late afternoon for the 2 hours drive to Queen Elizabeth National Park for relaxation, dinner and overnight. 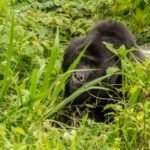 Breakfast at the lodge, gather at the briefing point at 8am for registration and general briefing after you embark on an adventure trek through the rugged landscapes of Bwindi with steep hills and narrow valleys in search of the Mountain Gorillas that are known to be Critically endangered world over. 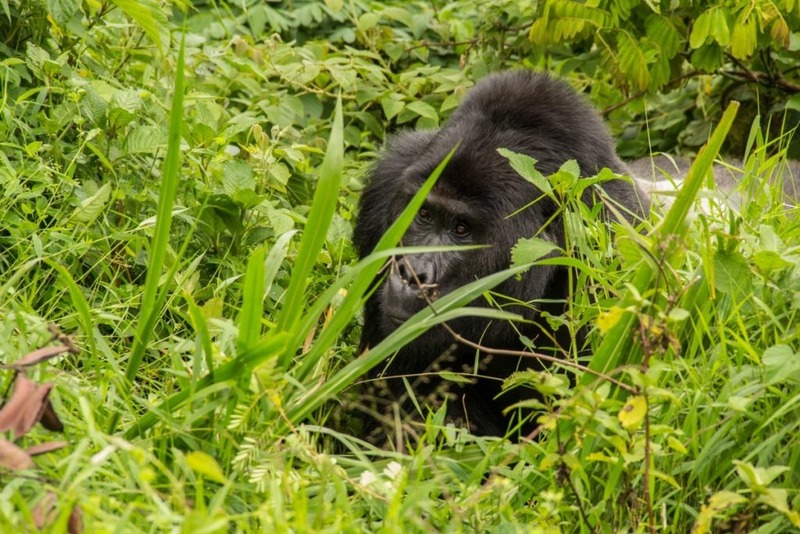 The gorilla trek lasts 2 – 8 hours depending on how far the allocated gorilla family has moved and actual viewing time is limited to one hour for purposes of conservation. 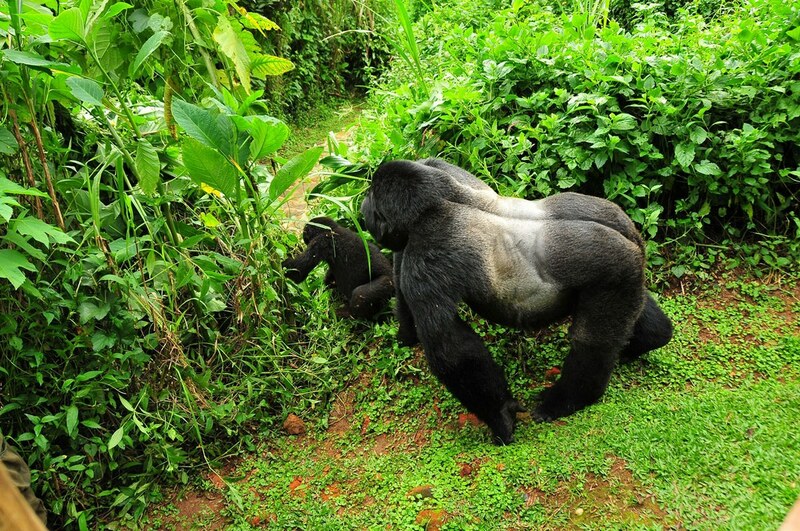 Enjoy amazing sights of these great Apes, the lush flora and birds. 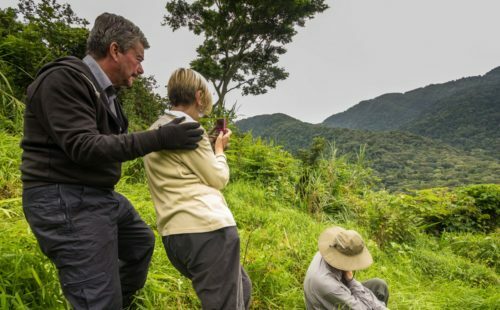 Retire and transfer to Volcanoes National Park enjoying the views of fascinating Kigezi Highlands and the Virunga Volcanoes. 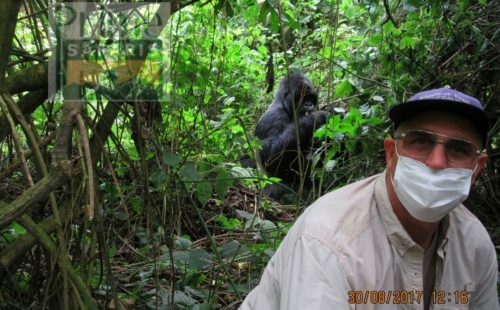 Engage in an exciting golden Monkey trekking encounter exploring these endangered species known to thrive only in Uganda Rwanda and Democratic of Congo. The Golden Monkey Trekking starts from Kinigi park headquarters at 7am and lasts for around 4 hours. You trek to the slopes of Mount Sabyinyo where are kwon to thrive and enjoy their sights as they forage and play. Their golden patch on the bark gives them an outstanding look. From the activity, transfer to Gisenyi Lake Kivu 110km about 2 hours’ drive to spend the evening at leisure relaxing by the beach. 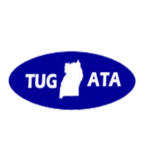 Transfer by speed boat to Bukavu – South Kivu province where the famous Kahuzi Biega National Park is located. Enjoy the amazing views of Lake Kivu and its Islands. Set off from the lodge at 5:30am for the drive to Cyamudongo forest where Chimpanzee trekking takes place. You explore them as they forage, patrol and socialize for 1 hour. The entire trek lasts between 2 – 5 hours after which you return to the starting point and return to the lodge for lunch. In the afternoon, gather at Uwinka visitor centre for an exciting canopy walk. 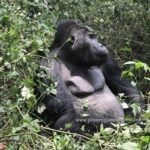 It’s the first of its kind in East Africa stretching for 200m through lush Afro montane forest canopy with likely sights of birds and primates. The canopy walk lasts about 2 hours. 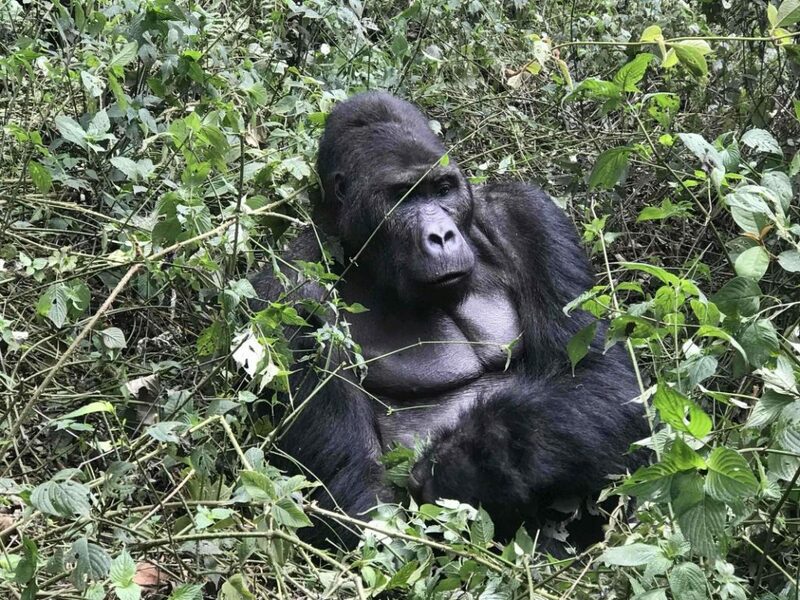 Day 15 of the 16 Days Uganda Rwanda Congo Primate, Mountaineering & Wildlife Safari: Nyungwe Forest NP Colobus Monkey tracking & drive to Kigali. 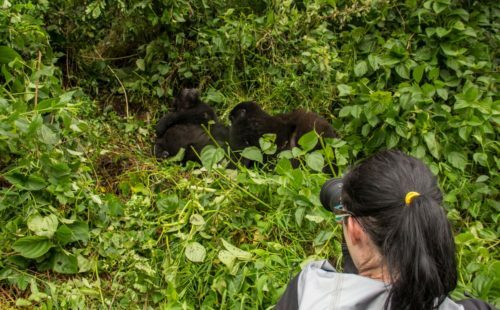 Take up another great adventure in the Afromontane forest of Nyungwe to explore the great counts of Black and white colobus Monkeys. The park is recorded to have the largest grouping of Black and White colobus Monkey on the continent of Africa with a minimum of 400 individuals. Their black and white coats are beautiful while the young ones are completely white. From the trek, you transfer to Kigali 268km about 6 hours’ drive enjoying the views of Rwandan hillsides. Take up the city tour of Kigali exploring the Art centres like Ivuka, Markets like Nyamirambo and then, the Genocide memorial at Gisozi after which you will be dropped off at Kigali International Airport for the flight back home. 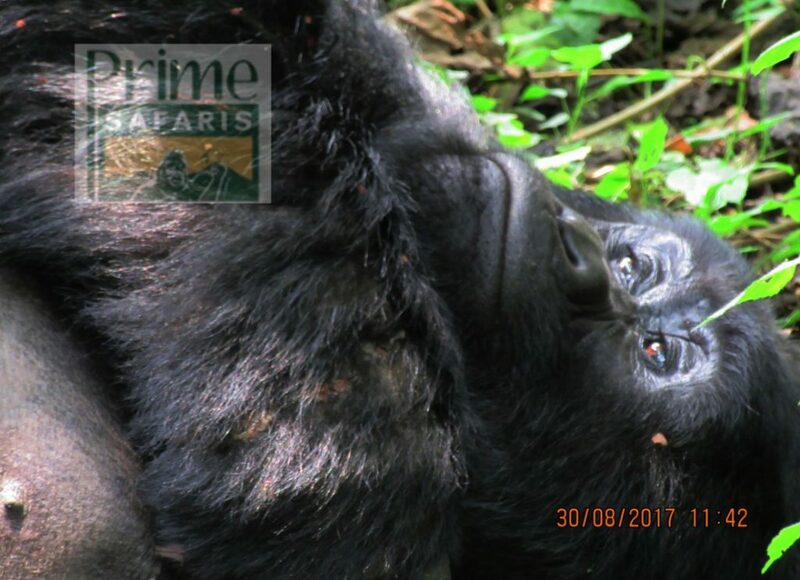 Day 2 of the 12 Days Uganda Rwanda Congo Safari with Double Mountain Gorilla Trek, Nyiragongo Volcano, Chimpanzees & Game drive: Transfer to Fort Portal, visit the Amabere g’ Nyinamwiru caves, Fort Portal crater lake hike & connect to Kibale National Park. At Kanyanchu Tourism Centre – the starting point for Chimpanzee trekking starts briefing at 8am. 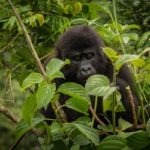 You go through briefing and eventually head to the forest for the 2 – 5-hour trek in search of these endangered species with nice views of lush flora, birds and other primate species. Upon reaching Chimps, spend 1 hour with them enjoying them as they forage, mate, patrol among other behaviours. 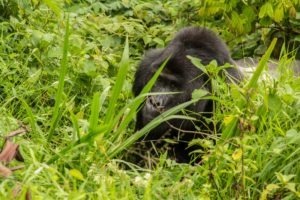 From the activity, settle for lunch and later visit Bigodi wetland walk for eco-community experience. The swamp has lush flora, birds like the Great Blue Turaco and swamp animals like Sitatunga. 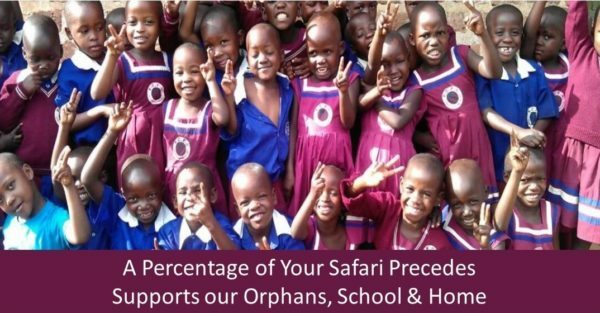 Depart the lodge at 7am after breakfast for a relaxed drive to Queen Elizabeth National Park 157km about 3 hours excluding the stop at Ruboni community exploring incredible views of Ndali Kasenda Crater field which is one of the four explosion craters in Uganda. 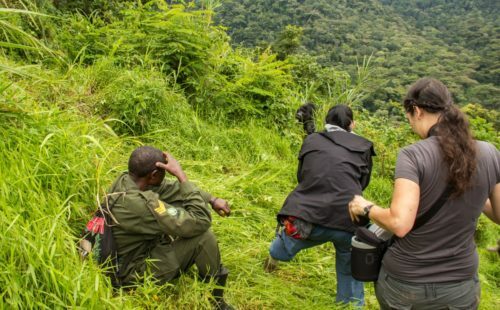 Branch off towards Kasese and take up an exploration to the Ruboni community on the foothills of Mount Rwenzori inhabited by the Bakonzo people for over 300 years past. Learn about their way of life, livelihood and traditions. 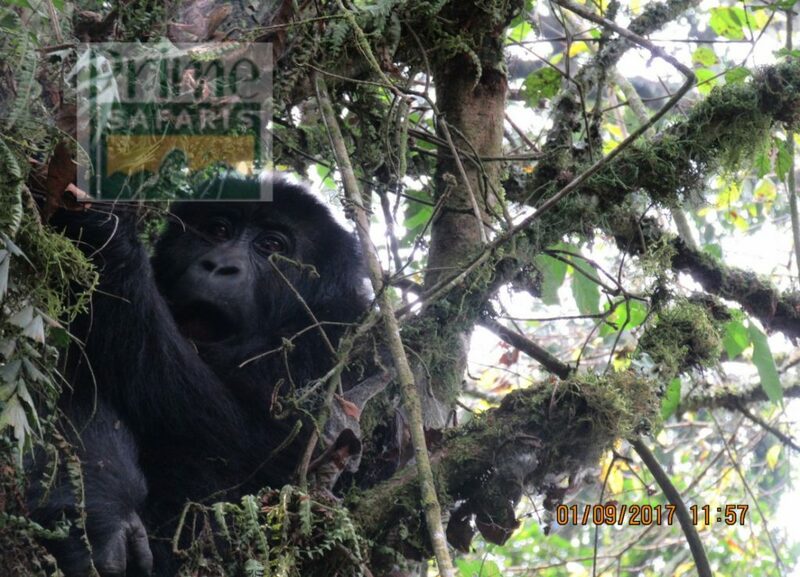 From the activity, proceed to Queen Elizabeth NP for an afternoon game drive in Kasenyi sector. 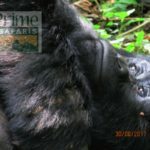 Breakfast at the lodge, gather at the briefing point at 8am for registration and general briefing after you embark on an adventure trek through the rugged landscapes of Bwindi with steep hills and narrow valleys in search of the Mountain Gorillas that are known to be Critically endangered world over. The gorilla trek lasts 2 – 8 hours depending on how far the allocated gorilla family has moved and actual viewing time is limited to one hour for purposes of conservation. 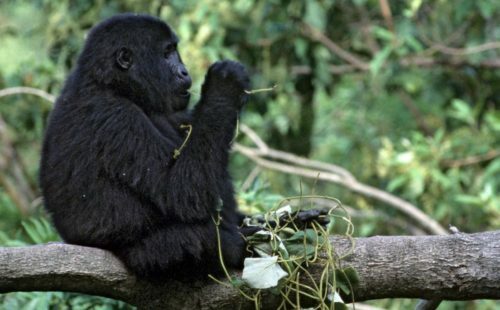 Enjoy amazing sights of these great Apes, the lush flora and birds. Retire from the activity and slope to Lake Bunyonyi driving through the fascinating Kigezi Highlands and spend the evening at leisure. 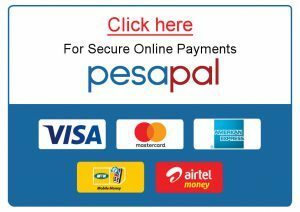 Enjoy a relaxed breakfast, take up a thrilling motorised canoe ride exploring the beauty of Lake Bunyonyi popularly known as the Lake of a thousand Islands because of its 29 Islands. 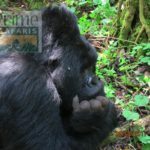 Learn about their history after which you set off for the drive to Gisenyi Lake Kivu enjoying nice views of Virunga Volcanoes. Early wake up to take sunrise photoshoots, breakfast before embarking on the descent to the starting point. From there, you will drive to Gisenyi Lake Kivu for relaxation. Spend the evening by the sandy beaches of Gisenyi Lake Kivu. Depart after breakfast for the drive to Kigali 358km about 4 hours’ drive. Enjoy incredible views of Rwandan hillsides and upon arrival in Kigali, you take up a city tour to explore the city landscapes including the Gisozi genocide memorial – a living testimony for what transpired in the 1994 ethnic conflict. Settle for lunch after which you will transferred to the Kigali International Airport for the flight back home.